The following forms must be post marked by tomorrow to be considered! To view requirements, forms and who to submit forms to, click on the link below! Last call for high scores submissions for the 2018-2019 season. Please submit all high scores by Friday, March 8th. After this date the link below will no longer be available. We recognize the passing of Mark Voight. Mark’s company, the Community Bowling Centers of Michigan have always been one of high schools bowling’s staunchest supporters. Our association recognized Mark as a member of our inaugural Hall of Fame class. To Mark’s family and friends we offer our sincere condolences. Please contact Ira Kaufman Chapel for Funeral arrangements. The board meeting tonight is cancelled due to weather. Also, as a reminder rankings are due today to respective committee members! 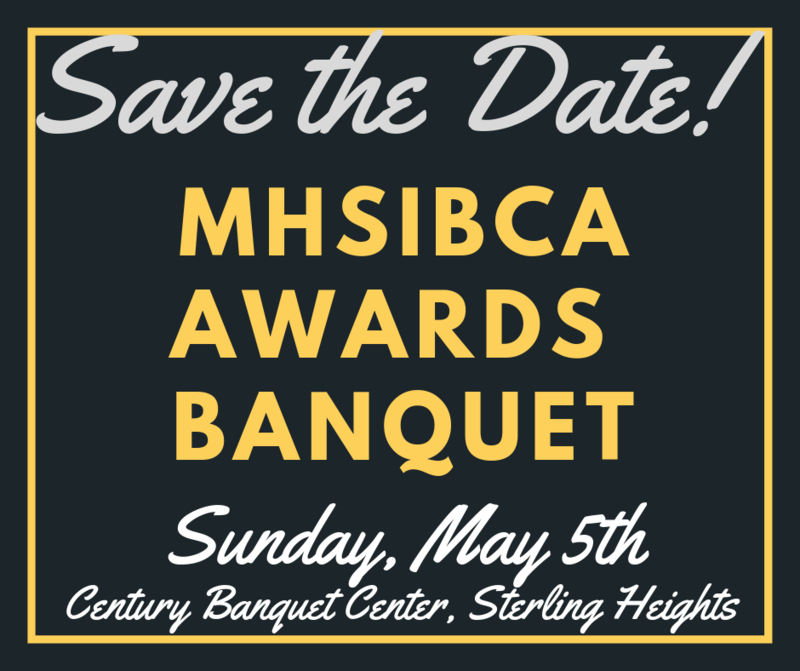 The 2019 MHSIBCA Banquet will be held at Century Banquet Center in Sterling Heights, MI on Sunday, May 5th. Lucky Lanes, Milwaukee, WI is hosting a College Bowling Recruiting Showcase on June 22-23, 2019! This showcase will include physical and psychological/skill testing on day 1 and a baker doubles tournament on day two. Contact Andrew Willems, USBC Bronze Certified Coach at awillems1129@gmail.com or 1-262-960-5585 or Lucky Lanes at 1-414-543-7110 for more information.